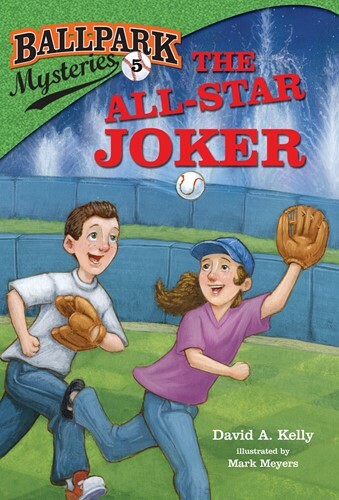 Next up to the plate-book #5 in our early chapter book mystery series, where each book is set in a different American ballpark! The stars are out in Kansas City . . . the baseball stars, that is! Mike and Kate are at the All-Star game, and even get to go on the field during the Home Run Derby to catch pop-ups! That's where they meet Andy, whose dad, Josh Robinson, is an All-Star catcher. But before the Home Derby ends, Josh finds himself in hot water. Someone is playing practical jokes on the other players, and the coach is sure it's him. Andy swears his dad is innocent. Who would want to frame Josh? And why? The All-Star Joker includes a fun fact page about Kansas City's stadium.